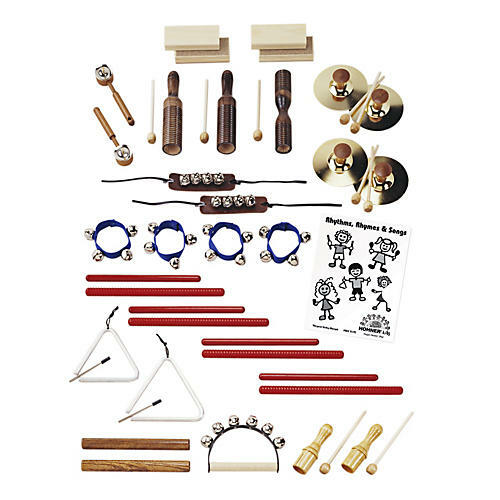 A multi-timbre rhythmic outfit for a legion of kids in a daycare or a preschool class band. The Hohner Multi-Timbre Rhythm Instrument 25-Player Set features an assortment of instruments which have been carefully selected to provide a wide range of rhythm, timbre and pitch. Comes with an instruction book and carrying case. Hohner kids instruments help the next of kin discover the music within. Order today.